The collection and the preservation of the stem cell contained in the blood for therapeutic purposes represents a great opportunity, made possible by the recent research progresses. 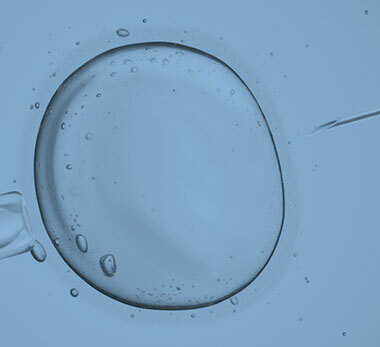 The stem cells of the umbilical cord are capable of generating all the blood cells; today, their clinical use is recommended for the treatment of more than 80 pathologies, and their application in medicine is in continuous development. 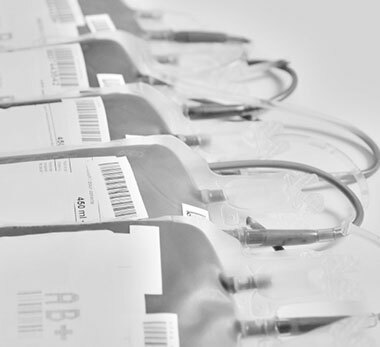 The BiotechSol’s stem cells conservation service guarantees the cryopreservation of the cells collected from the cord blood for 20 years in a next generation biobank. The stored blood sample remains a property of the family, that will be able to have them available, in the case of need, for the child or a compatible relative. BiotechSol offers a full-service assistance, from the entry to the sample freezing. For the 20 years following the preservation, the family will also be informed about the latest therapeutic news. Contact our customer assistance by phone or filling our form, and a qualified expert will answer all of your questions. It is suggested to activate the service a couple of months before the birth. In a few days, you will receive the kit directly at your home with all the necessary instruction. During the last month of the pregnancy, the future mom will have to undergo the blood tests required by the regulations for the blood cord transportation and preservation, and consequently obtain the authorization by the hospital, mandatory to send the kit to the biobank. During the labor, the kit will be entrusted to the medical doctors that will execute the sample collection. The obstetrician collects the sample directly in the birthing room with no risk for the mother and the newborn, and then prepares the kit for shipping. Once the collection has been successful, the new mom can contacts BiotechSol to pick-up the kit and to deliver it to the lab, where a team of biologists will execute qualitative and quantitative tests. Once they have certified the conformity, the sample will be frozen in nitrogen at -196°, the temperature indicated by the guidelines for cells cryopreservation and their potential use for clinical purposes over time. 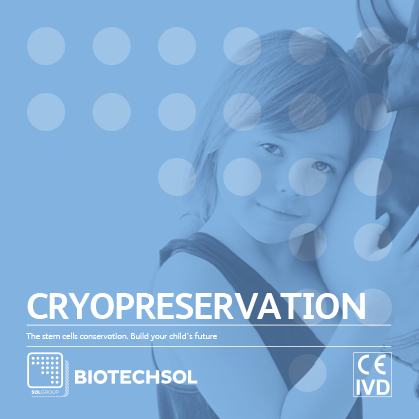 Once stored, BiotechSol will send the cryopreservation certificate to the family.